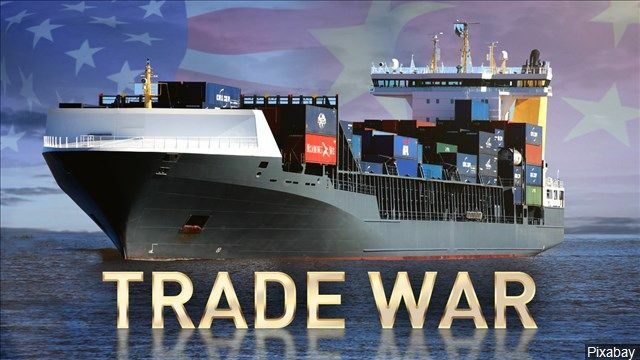 Trade relations between the US and China are tense as both nations impose tariffs on imports. China and the U.S. resume trade talks this week, ending the hiatus after an earlier deal collapsed in May. Fresh rounds of tariffs on each other’s goods are set to take effect from Aug. 23, coinciding with the negotiations. And as President Donald Trump has threatened even more levies, the trade standoff has the potential to drag to the end of the year and beyond. That casts a number of already scheduled events into a new light, such as a meeting of Asia-Pacific Economic Cooperation countries in November that could stage a meeting between Trump and Chinese President Xi Jinping. A Chinese delegation led by Vice Commerce Minister Wang Shouwen will meet with an American group headed by David Malpass, under secretary for international affairs at the Treasury Department, in Washington this week. Both sides haven’t provided more details, but economists doubt that anything concrete can be reached in this mid-level talk. Levies on $16 billion in each other’s goods will hit Thursday. The Trump administration already imposed duties on $34 billion of Chinese goods last month, a move that prompted immediate in-kind retaliation from Beijing. The revised Chinese list added hundreds of new items including coal, medical instruments, waste products, cars and buses, while the U.S. announced it plans to collect duties on products ranging from motorcycles to steam turbines and railway cars. The U.S. is holding a six-day hearing that started Monday on the latest round of proposed actions against Chinese imports, which would place tariffs of as much as 25 percent on $200 billion in goods. Those taxes, which China has vowed to hit back against by levying duties on $60 billion of U.S. goods, could take effect after a public comment period closes on Sept. 6. A Communist Party meeting will likely be held this fall, the fourth full Central Committee gathering since Xi secured a second five-year term as leader last October. According to the process standardized four decades ago, the meeting is likely to be focused on economic issues and reform agendas, as was the one in November 2013. But there is chance that Xi would break the norm. The party’s top 400 officials gathered in Beijing in February, ahead of annual legislative meeting, a rarity in its history, to deliberate on personnel appointments and government restructuring. China will hold its first-ever International Import Expo in its financial hub Shanghai from Nov. 5-10. Xi is set to address the fair, one of his pet projects. The world’s biggest exporting nation has reiterated that it would like to boost imports from all over the world including the U.S., to meet domestic demand and reduce the trade surplus. The Papua New Guinean capital Port Moresby in November will host an APEC summit that could offer a stage for Xi and Trump to meet for the first time this year. During the the 2017 APEC meeting in Vietnam, Trump said the U.S. will no longer tolerate countries that are “cheating,” stealing American intellectual property or subsidizing production -- common complaints he makes about China’s trading practices. If officials of the two powers are still not able to strike a tentative deal ahead of the APEC, then the G-20 meeting in Argentina from Nov. 30 to Dec. 1 could be another platform for the two leaders to sit down and talk. The pair met on the sidelines of the G-20 in July last year.